Many people interested in virtual reality have been waiting indefinitely for the ‘second-generation’ of immersive headsets to arrive – hoping for vast improvements to the early VR setup. While the Vive Pro isn’t quite the 2.0 upgrade users are still waiting for – more like v1.5 – it offers significant upgrades to the core foundation laid out by its predecessor. Early adopters have been quick to replace and upgrade parts on the first HTC Vive headset. Evidently, cogs have been in motion over at HTC to offer these simple yet fruitful upgrades straight out of the box with their latest tethered headgear. The result is the HTC Vive Pro, featuring all the comfort and quality mods, plus more – for a price. Gone are the multiple cables from the original Vive, which unhelpfully served to weigh down the user and interfere with almost everything within a 5m radius. In their place is a single chunky cable threaded into the top left side of the headset. And it’s arguably this focus on a tighter design that makes more of a difference than the higher resolution. This proprietary connector replaces the power, HDMI, and USB cables that were required to tether the original headset and link box – the lighter and more flexible cable is a huge improvement over the previous one. For complete freedom, however, you can pick up the Vive Wireless Adapter – so long as you’re not rocking a Ryzen CPU – or pick up a third-party option like the TPCast. 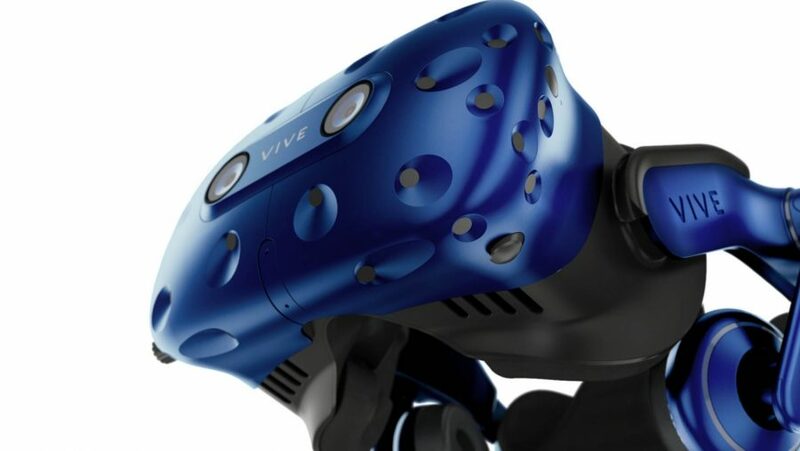 The initial Vive relied on a velcro material design, which just about gets the job done, but puts most of the weight of the unit onto your face through the cushioning. 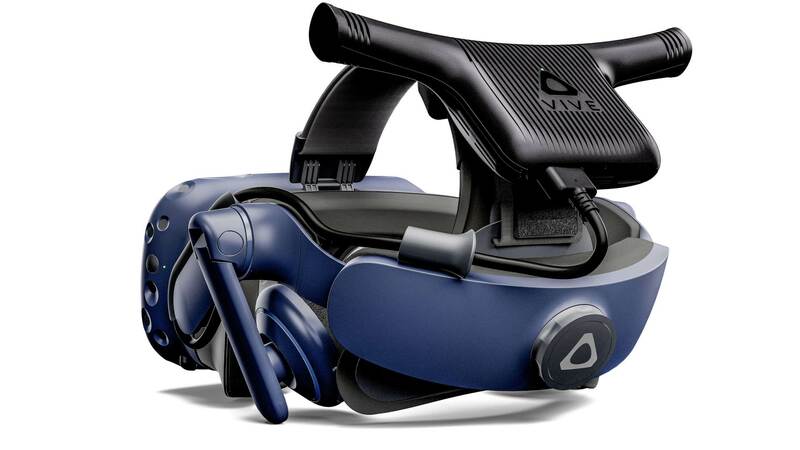 The weight and pressure from the Vive Pro unit, however, has been noticeably reduced from the headset itself and redistributed across the head support offering vastly improved ergonomics and comfort for longer VR sessions. There’s an adjustable wheel on the back that allows for far easier size adjustments when playing with friends, and easy access to lens distance controls too. 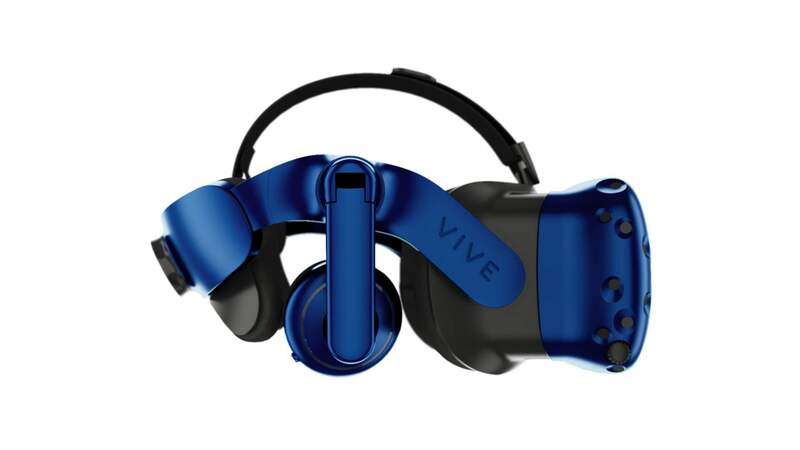 The gap between your schnoz and the headset has been covered with a little extra material to block out excess light compared to the initial run of Vive headsets, although the same cushioning is present around the eyes. This means you should be prepared for a downpour of sweat into the absorbent material and the cold touch of your bud’s sweat against your face after they’ve finished a particularly active session in the Hatsune Miku VR dance-a-long. The original Vive was a resolutely top-end VR headset, and the Vive Pro takes no shortcuts as one of the best units in the market. The biggest selling point of this new and improved headset – although it has its work cut out to top the lightweight design – is the use of high resolution AMOLED displays. The resolution of the unit has increased from 1080 x 1200 per eye, to 1440 x 1600 per eye – that’s more than two million more pixels overall in the Vive Pro over the older model. The refresh rate and field of view, however, remain the same at 90Hz and 110 degrees, respectively. The resolution bump certainly improves the visual experience, but, most importantly, removes a great deal of the eye strain that is part of the parcel with early VR. Text proves to be a particularly noticeable cause of discomfort in virtual reality, but the improved resolution cleans up fuzzy edges and drastically improves the reading experience. The screen door effect is minimised but not entirely removed. The improvements to visual fidelity create a much cleaner image, with the awkward boxing around pixels being much more difficult to discern with the Vive Pro when actually gaming, and not intently scanning the headset for flaws. 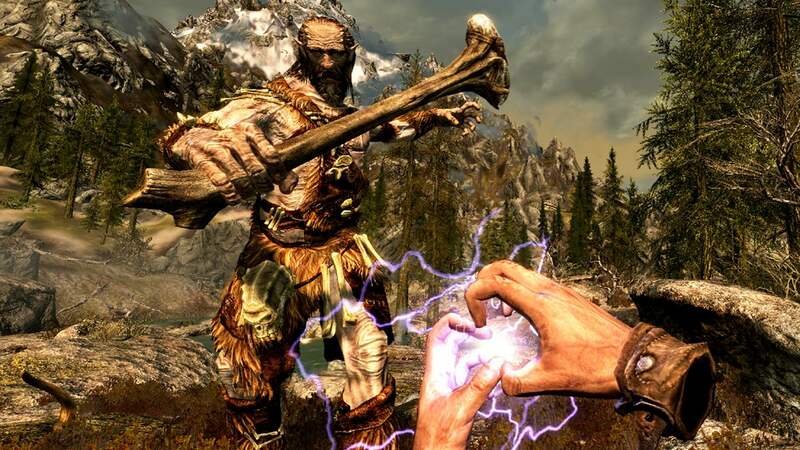 The result is a much crisper image, especially if you move your head to look around the world rather than scanning your eyes across the actual VR displays – that sounds a little ridiculous, but keeping your focus dead on centre screen reduces some unnecessary blurring of the peripheral in-game, however unnatural it can feel at times. The screen resolution bump makes for a more pleasant and less strenuous VR experience, but unmatched, top-tier performance comes at a price. The Vive Pro headset costs $799 / £799. Be very aware that when I say headset, I mean only the headset. If you don’t already own the base stations from the original Vive, or any controllers for that matter, these accessories will cost you an extra $530 / £480. Luckily, HTC will currently cut you a deal for only $299 / £249 at checkout. That’s a whopping sum of $1,098 / £1,048, all in. The Vive Pro strongly targets the early adopters. Those with Vive headsets from the get-go and a passion for VR will be overjoyed with the step up that the Vive Pro offers. It’s more ergonomic, higher quality, less strenuous, and the lighter cable minimises the restrictive feeling of the tether – it really is VR elevated as HTC claim. However, it offers little to really sway the market in HTC’s favour beyond the tippy top of enthusiasts, and it’s an extremely hard sell to prospective customers over the original setup or competitor’s products. The Samsung HMD Odyssey headset, for example, features the equally high resolution AMOLED displays for only $399. Even if you have the funds available to cover the huge price tag, it’s hard to ignore the golden combo of the original Vive headset at $499 / £499, with all the toppings, and a wireless adapter for a truly untethered experience. The Pro is a definite improvement, but it’s only a v1.5 stop gap until the truly next-generation VR devices start to appear and an unfeasibly expensive one at that.